When a new restaurant opens up in Brisbane, I have a proclivity to get over excited and wishful that it could potentially be the next place I call my second home. A place that I can always turn to for quick delicious meals or for mouthwatering desserts and drinks in the company of friends. KU-O, a restaurant that has just opened its doors at Market Square may just fit all these criteria. The interior of this restaurant is aesthetically pleasing. The owner noted that they had shipped all the wood used to construct the restaurant, along with the artwork and decorations from Japan to replicate the authenticity. This creates a relaxed, almost soothing atmosphere. The drinks at KU-O are comparable to any cafe that specialises in Asian drinks. I ordered a Lychee Twist which turned out to be a lychee frappe with a hint of mint. Not being a big fan of mint at all, I was surprised that I enjoyed the drink. 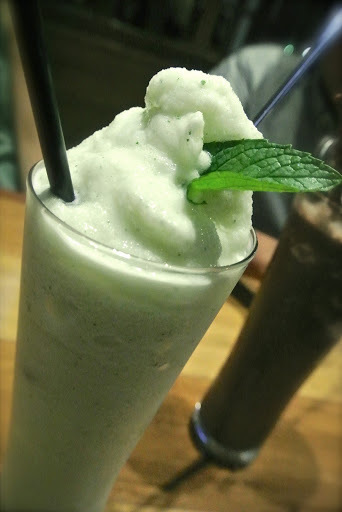 The subtleness of the mint blended well with the lychee frappe giving it a refreshing flavour. J ordered the Chocolate Supreme which was delicious and chocolatey. 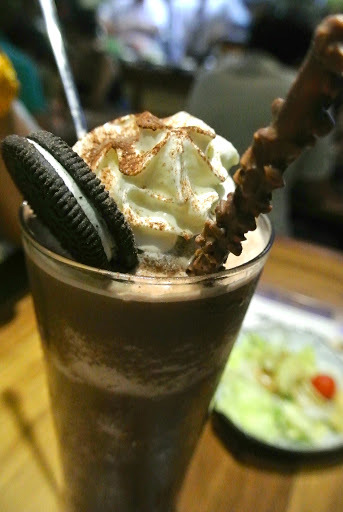 The accompaniment of the oreo and pocky stick served to make a simple chocolate frappe even more yummy. 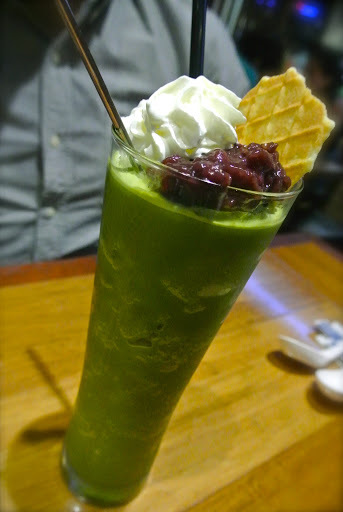 N ordered the Super Matcha which came with red beans. From the speed that he finished his drink which resulted in a brain freeze, I can assume that he enjoyed his frappe. KU-O has a large selection of food on their menu which includes set meals, donburi, yakitori, udon, agemono and teppanyaki. 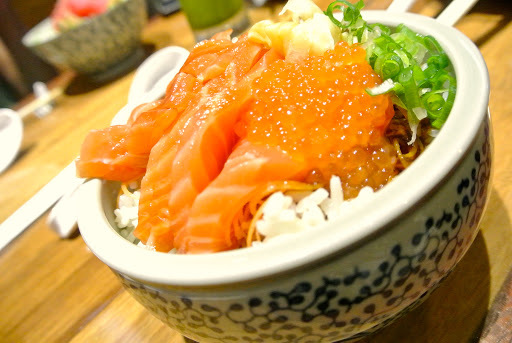 The Salmon Don came with slices of fresh salmon on top of a bed of rice. The rice had a delectable wholesome taste and smell to it which I haven’t come across before dining at a Japanese restaurant. 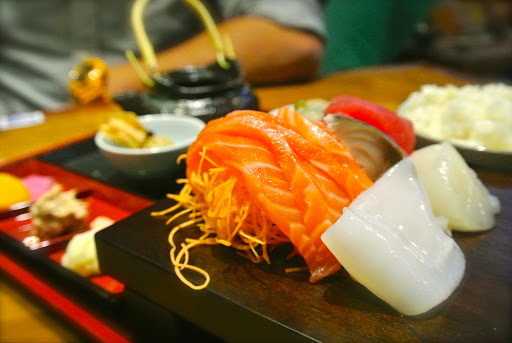 The Sashimi Set included fresh salmon, tuna, kingfish and scallop which was fresh and palatable. The set also included side dishes and a soup. 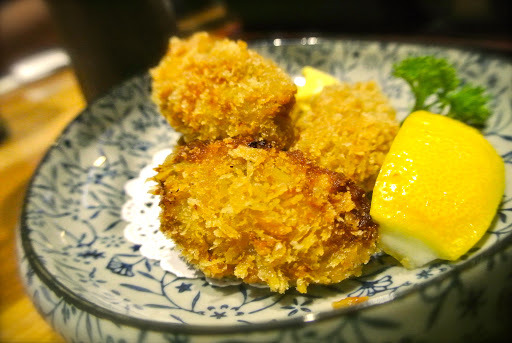 The crumbed oysters were crispy and golden on the outside with a delectable rich and creamy flesh on the inside. The Teriyaki Don which N ordered was probably the most exciting meal. 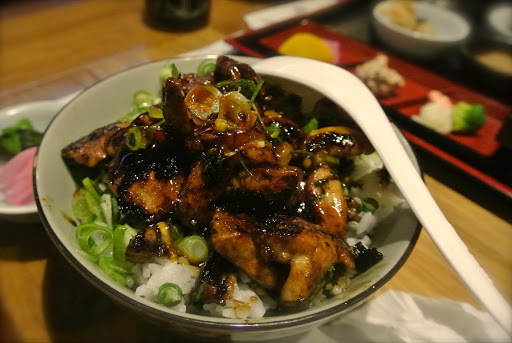 Being from Osaka, N is quite critical of Japanese food, but he found the Teriyaki Don to be quite piquant. The chicken was cooked to perfection, with the outside slightly charred making the flavour more distinct. 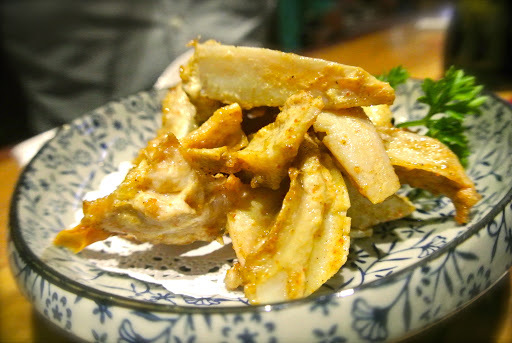 The chicken cartilage is something I have never tried before but found it to be surprisingly appetising. The slight flavour and crunch makes it a snack that you will want to keep munching on. 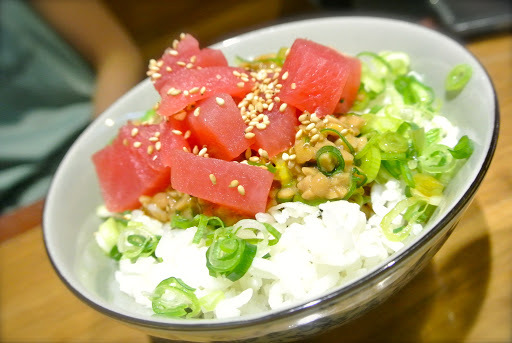 M ordered the Maguro Natto Don which consists of fresh, raw tuna along with fermented soybeans. 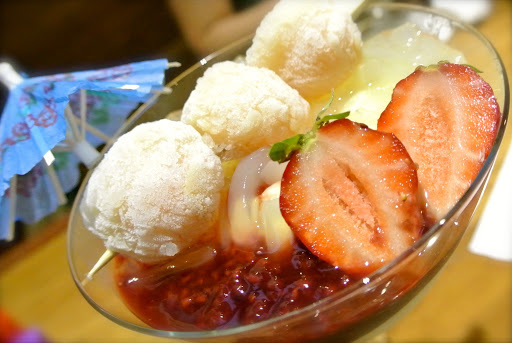 After finishing our dinner, we were happily surprised by the Summer Snow dessert being sent complimentary to our table. The tantalising dessert consisted of vanilla panacotta layered in raspberry compote with a topping of lychee jelly, strawberry and frozen lychees. It was absolutely heavenly, and a perfect way to end our dinner. With such a lovely atmosphere, mouthwatering food and delicious drinks and desserts, KU-O really has made a big impact in the midst of the restaurants currently located at Market Square. It is definitely worth coming in and having a taste for yourself. Hehe did you enjoy your meal there?